A retail store design that reinforces and complements the architecture of Crystal Bridges Museum of American Art in Bentonville has earned a 2015 national Honor Award from the American Institute of Architects. The store was designed by Fayetteville-based Marlon Blackwell Architects. 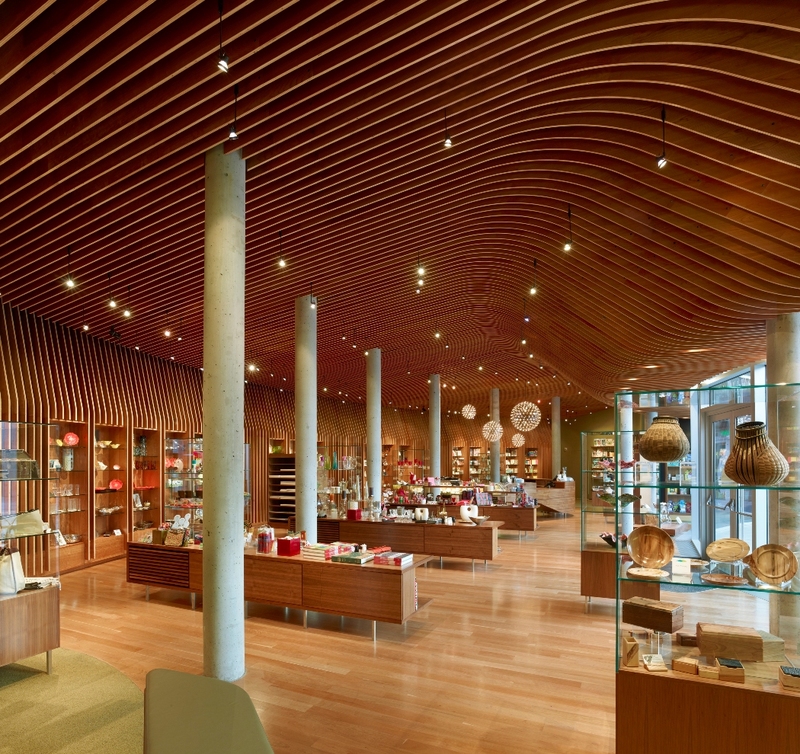 The Museum Store won an Institute Honor Award for Interior Architecture, one of eight awarded. This is the fourth AIA Honor Award for Blackwell, who is a Distinguished Professor and head of the Department of Architecture in the Fay Jones School of Architecture at the University of Arkansas. Moshe Safdie, the architect for Crystal Bridges Museum itself, received the 2015 AIA Gold Medal. The AIA awards are considered the highest national professional honors to be given to design projects in architecture, urban design and interior design. Twenty-three awards were made this year in the categories of architecture, interior architecture, and regional and urban design. 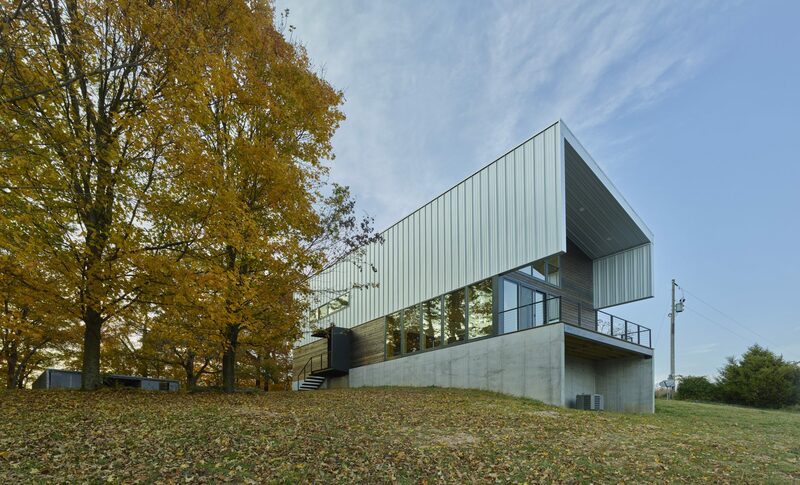 Blackwell was previously awarded the AIA Honor Award for Architecture for the Ruth Lilly Visitors Pavilion at the Indianapolis Museum of Art in 2012 and the St. Nicholas Antiochian Orthodox Christian Church in Springdale in 2013. He also received the 2014 AIA Honor Award for Regional and Urban Design for The Creative Corridor: A Main Street Revitalization for Little Rock, a project designed in partnership with the University of Arkansas Community Design Center. The work of an Arkansas basket maker, Leon Niehues, served as inspiration for the Museum Store design. Niehues, known for his baskets made of white oak from the Ozarks, was named an Arkansas Living Treasure by the Arkansas Arts Council. Blackwell and the design team at his firm faced several design challenges for the 3,040-square-foot retail space, including concrete columns that interrupt the interior space and a glass storefront that faces west, causing a substantial amount of heat gain. A series of 224 parallel ribs was digitally designed using the firm’s building information modeling process. The ribs, made of plywood from locally harvested cherry, extend from the ceiling of the storefront, across the ceiling and down the back wall of the store. The undulating surface creates an elegant sectional profile, while also providing filtered shade from the intensity of the sun. Freestanding pieces made from local Ozark walnut and glass organize the space and serve as both storage and display areas. The use of local materials reinforces the store’s relationship with the museum and its focus on American art. “The concept is beautiful, and the design and execution are nicely done,” members said, expressing admiration for the wooden ribs and detailing. The Museum Store has also received a 2013 Contract magazine Interior Design Award (Retail), a 2012 Arkansas AIA Honor Award and a Gulf States Regional AIA Interior Honor Award. It was a 2012 World Architecture Festival Finalist (Shopping). The winning projects in this year’s AIA awards program will be exhibited at the annual convention in Atlanta in May and published in Architect magazine, the official magazine of the AIA.